This necklace features beautiful natural pink Peruvian opal. 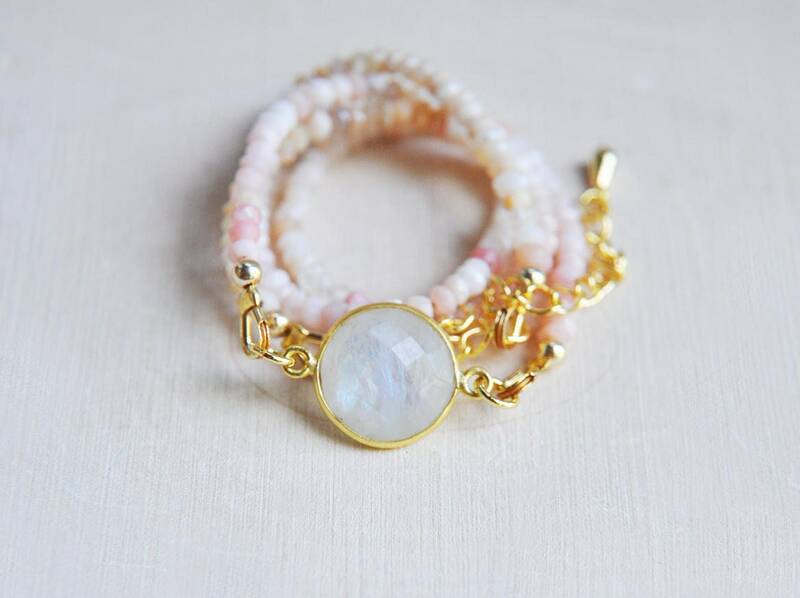 The small stones are faceted adding a bit of sparkle. 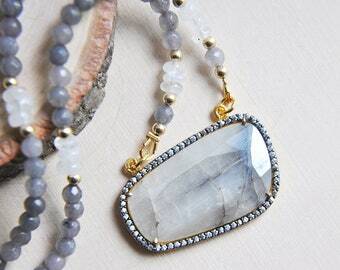 Resting in the center of the necklace is a gorgeous gold faceted moonstone bezel. 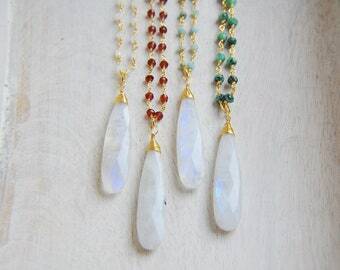 Each necklace is unique and one of a kind due to the natural formations of the stones. The necklaces listed in the photos are of examples of what I've created over the years. Yours will be just as beautiful! All of my jewelry arrives suitably gift wrapped ready for giving. The length of the necklace is approximately 16" long with a 2" extender for an 18" total.